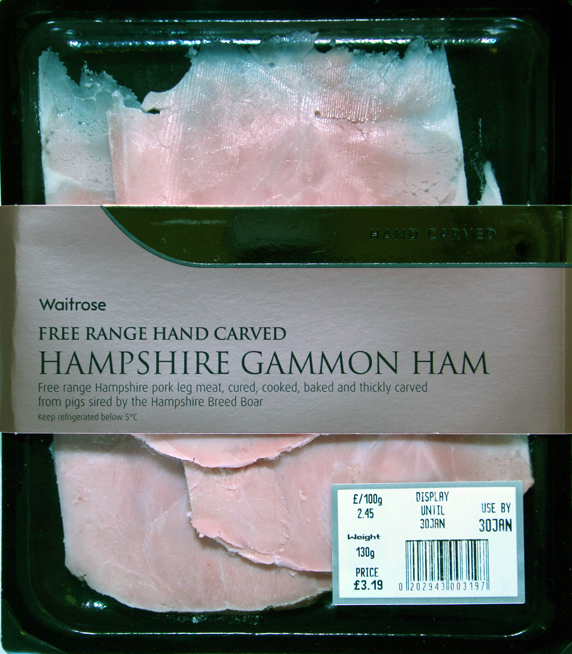 Where a specific breed name is used without qualification (for example Hampshire pork) this comes from pigs resulting from the mating of a pedigree boar and sow of the same named breed. While all these descriptions can be used Statements A and B are considered to be the true names of the food for these products. Statements C, D and E are likely to be statements accompanying and expanding upon the true name. The type font and size used on packaging will not give an undue prominence to the breed over the actual cross breed status of the meat. 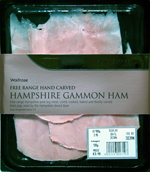 Any reference to a specific breed should refer to an animal registered by an officially recognised registration authority licensed within the EU, for example the British Pig Association (www.britishpigs.org.uk). If the produce is not from two pedigree registered animals of the same breed, any photographs or illustrations shown on labels, point of sale materials, advertisements or supporting literature should be clearly linked with the true name statement (i.e. captioned with the words in paragraph 4.2 [A or B] above). Such captions should be sufficiently prominent and clear to avoid the consumer being misled (i.e. in the same weight and size of font as any other reference to the breed on the packaging). Any trade mark applied to the products should not be capable of being confused with the actual breed/cross breed of the product.